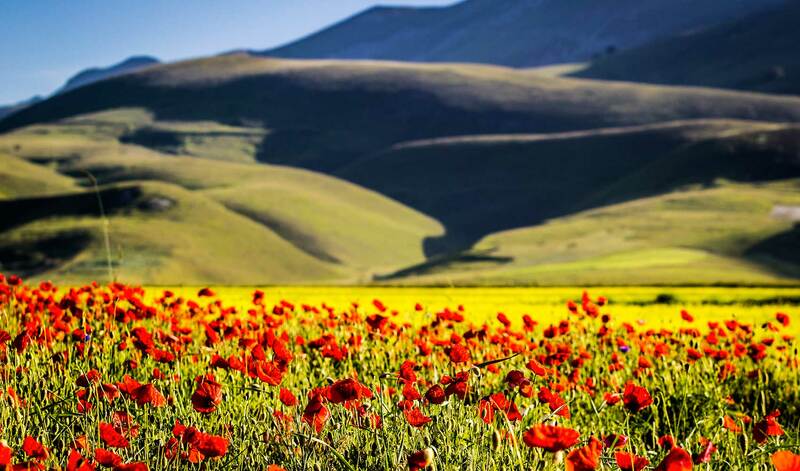 Today, Imola is a delightful taste of Italian history and culture, yet known above all for the Enzo and Dino Ferrari Racing circuit and much beloved in the Emilia region thanks to its vivacious schedule of events. 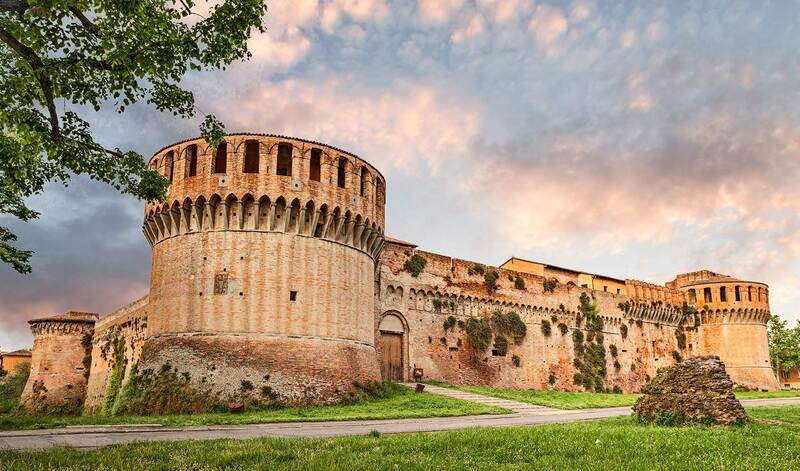 However, it is important to remember that Imola offers a rich architectonic heritage which can be visited and observed while pleasantly walking through the historic center. 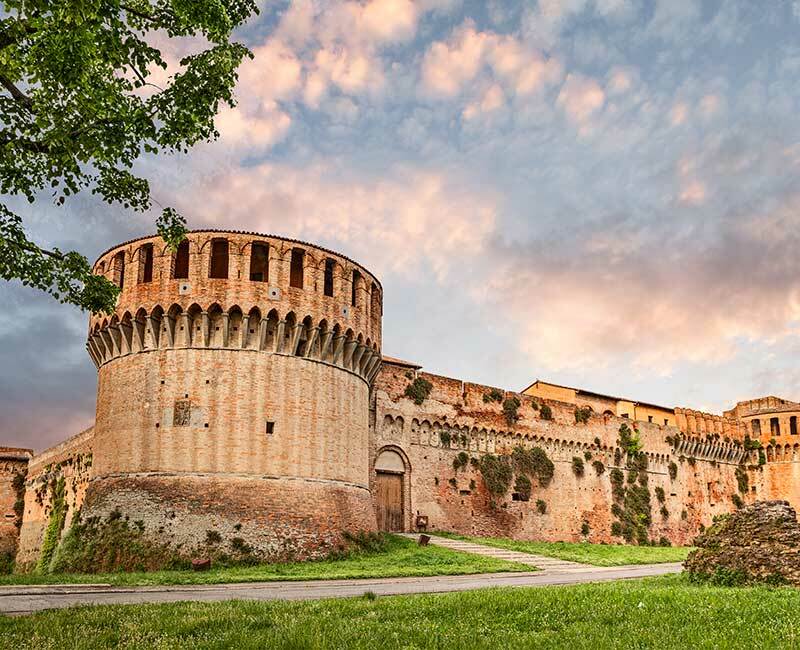 Not far from the ancient Porta Montanara, the 13th century Sforza Castle is a majestic example of fortified architecture, poised between the Middle Ages and the Renaissance. Its interiors host a vast collection of ceramics and weapons and are also the quarters for the important Piano Academy of the Maestro Franco Scala. Just a few steps away from the Castle, you will find the magnificent Palazzo Tozzoni, a rare example of a perfectly conserved aristocratic residence. 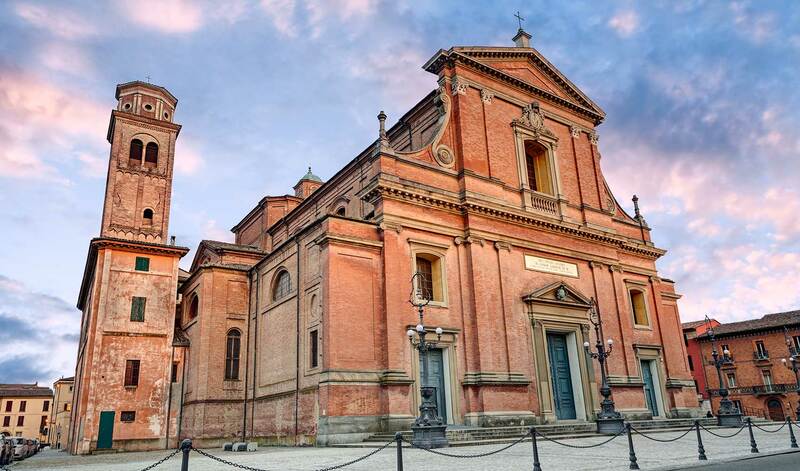 We also recommend visiting the Cathedral of Imola, dedicated to the city’s patron Saint Cassiano, founded around the year 1200, but probably transformed at the end of the XVIII century. Other important landmarks are the church of Santa Maria in Regola, the Palazzo Sersanti dating back to the Renaissance, and above all the Museum complex of San Domenico. Among the many events that take place during the year in Imola, we must signal the Baccanale, a food and wine event which, during November, involves all the restaurants of the city, Imola in Musica with its concerts at the beginning of June, the Carnival of the Fanta-vehicles and the summer cinema festival, hosted in the court of the Sforza Castle.